Home / Self improvement / Why do we need vitamins? Many of us have associated the term “vitamins” with our need to have more energy. We ignore however, that vitamins are additional nutrients that got their name from the fact that they do not provide any energy to the body! This practically means that vitamins have no calories. However, prolonged lack of them can cause significant health problems (for example blood clotting, vision problems, skin, bones and neuromuscular system etc). 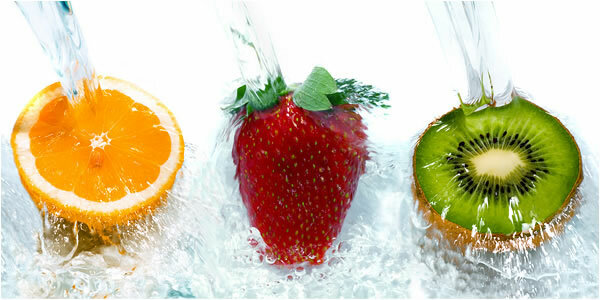 Vitamins are divided into soluble and liposoluble, ie those which can be dissolved in water and transferred through it, such as vitamins C and B and those that dissolve only in fat. This means that when we are short of the first type, the results are visible immediately, as water-soluble vitamins cannot be stored in the body. The effects from the lack of fat-soluble vitamins are slow since the existing vitamins are already stored in our fat cells. Which foods are rich in vitamins? It is also important to know what the factors that affect the absorption of calcium are. Our allies in this case is the lactose in milk and foods containing vitamin D, while opponents of calcium absorption are animal protein, dietary fiber, phytic acid, oxalic acid, salt, low levels of vitamin D, caffeine and alcohol. The factors that affect the absorption of plant iron are: Iron can interact with the fructose, vitamin C and iron of animal origin. I just learned that we can’t rely on just taking vitamins and mineral supplements that come in the bottles either because you can never know for sure that your body can absorb enough of what it promises to give in a serving. The best sources of these nutrients are from foods indeed. I wouldn’t agree with you more, natural sources of vitamins and nutrients are always better than supplements.